For any young Latino girl turning 15, a Quinceanera is a special milestone in their life. It’s a time to look forward, to reflect, and honor heritage. In the festive celebration of Quinceanera, family and friends come to honor the young woman’s life. She is passing from a girl to a young woman, and the symbolism and family bonding is truly inspiring. In the Latino world, Quinceanera is Spanish for a young girl becoming a woman upon her 15th birthday. Among Latinos the world over, Quinceanera is a coming-of-age celebration on a girl’s 15th birthday. Let Kitchener Limo Rentals make this family celebration extra beautiful and eventful. 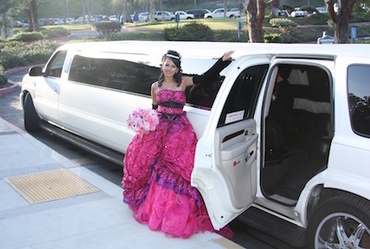 By hiring our limo services, we guarantee a wonderful evening to honor your young girl’s beauty and charm. The Quinceanera has its roots starting many centuries ago with boys and girls participating in rites of passage. To prepare for womanhood, girls were separated from other children at a certain age so the elder women could teach them about their future roles as members of the family and community. This celebration is deeply symbolic and special. It gives women a time to truly bond, and men, the time to understand how to truly treat and resect young women. During the official rites of passage, the community would thank the gods for the future wives and mothers, and the young women would vow to serve the community. What a beautiful message about family and community. Let us show off that message and help you spend time together in a stress-free and wonderful environment. 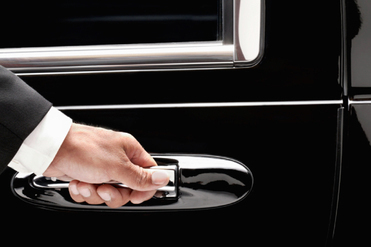 Our limo services can arrange pick up and drop off locations to ensure all guests travel together to desired venues. We can even help you decide where to celebrate, whether at a fine dining restaurant or other banquet hall or hotel. 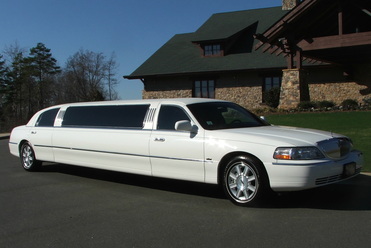 Unlike other limo services, our superior experience and knowledge is utilized to give you a one of a kind experience. Our limousines or party buses can be decorated according to your taste. We can fill the limo or party bus with beautiful white roses, a gentle fog going, and festive music playing in the background. We customize our options according to your requests. We also offer different food and beverage options. You’ll smile as all the family is gathered together, celebrating and making lasting memories together. We guarantee prompt arrivals and even detailed itinerary to keep the party moving. Take the stress out of driving and leave it to us on this special night. We can even recommend photographers to capture special moments of the evening for you. We work with many local companies and have working relationships with different vendors. We are here to fulfill your every transportation need and more! Our church trip party bus can hold up to 56 passengers. Call us today at 226-241-9927 or fill out the information form on your screen to book your next Quinceanera. We want to make sure our vehicles are available for you, so don’t hesitate to contact us. We pride ourselves in serving families for all types of celebrations.